Imagine you’re midway through the financial year. Your business performance is tracking well, and you’ve hired a strong team to take you the rest of the way. Suddenly, one of your senior executives announces their departure – and you have to find someone to fill their shoes. The selection process for senior management is critical to your business. As well as helping to define the strategy and direction for your business, strong executives inspire and coach your teams to reach that objective. Needless to say, finding the right fit can be challenging. Not only do you have to find the ideal combination of skills and cultural fit, but due to their critical nature, there’s often an added time pressure on HR teams to quickly fill senior executive positions. If you’re putting together your plan for recruiting senior level employees, here are five steps that will help you along the way. If an executive leaves, replacing them is no easy task – and that’s why it’s important to work on your talent pipeline and market map. Market mapping can quickly help you and your team gain an understanding of what type of packages your competitors are offering in the marketplace (for example, bonus schemes or flexible work conditions), identify the talent that’s currently out there, and also anticipate which roles your business may need in the future. This information is critical to a successful executive search. Senior executives take many factors into consideration when planning their next career move and often receive multiple job offers, so it’s essential you take the time to consider what will attract them to you versus your competitors. The selection process for senior management is long. It can take nearly 55.5 days to hire senior vice presidents. In other words, it’s important to start early. The best way to recruit senior level executives is to take a proactive approach – and that means building your talent pipeline strategy. Having a strong talent pipeline strategy means you can actively build and nurture relationships with talent, so if a senior executive leaves or a new role opens up, you already have some key candidates in mind and can begin the recruitment process sooner. Building a talent pipeline involves creating a list of roles that are key to your company’s success, both now and in the future, and then identifying candidates for your talent pool for these roles. Your talent pool can consist of both internal and external candidates. For internal candidates, it’s about having a clear succession and training plan, whereas for external candidates it’s all about nurturing the relationship. If you want to build or enhance your talent pipeline strategy, download our talent management blueprint by clicking the image below. Recruitment and selection methods for senior level employees are different to others – that’s why it’s important to know where to look to find the best talent out there. Referrals: whether from previous executives who left on good terms, your current employees, or people in your talent pipeline, referrals are an excellent way to find quality candidates that your competitors don’t have access to. Referrals are generally the most effective hires, so this is an excellent place to begin. Utilise LinkedIn: LinkedIn is one of the most powerful tools for hiring managers. Spend time identifying interesting candidates and building your talent pool, and don’t be afraid to put a call out to your network if you have a role that you need filled. Search on industry related platforms: If you’re looking for an executive with a certain skillset, industry platforms are a powerful ally. Search on platforms like GitHub and Behance for executives with a tailored skillset. Alternatively, browse through industry publications online – many people who contribute thought leadership pieces to these websites could also be interesting to speak to for a senior executive role. Senior executives are busy, often in demand for key roles, and also make very deliberate and considered career moves. After all, on average they spend just under 10 years in a role. For senior executive roles, starting off on the right foot is crucial. Initially, set aside some time for the candidate to speak directly with your hiring manager, and have them introduce the role, the business direction, and the company culture. This sets up a level of respect and transparency. Following this, as they go through each stage of the process, remember it’s a two-way street. You’re evaluating the suitability of the candidate, but they’re also evaluating your company culture and business direction. Senior executives take their career moves very seriously, so it’s important to present an offer that’s personalised to their career ambition and direction, and that’s also competitive in the marketplace – in other words, make them an offer they can’t refuse. Your hiring manager should present the offer to show a level of respect to the candidate, and to demonstrate that they’re important to your business. Be patient. It’s a big decision, so it’s natural for the process to take time, and renegotiation is almost always part of the equation. The candidate may also want to meet the rest of the executives on the team, or visit the office a few times to understand the inner workings of the business. This is all crucial to their decision, after all. Don’t forget to follow up if you haven’t heard from them in a few days – see if they need any more information to help their decision, or if you can help in any way. Once they accept, give them enough time to tie up loose ends at their current role, but begin introducing them to your business as soon as possible. This way, they can onboard quickly when they do join your team. Senior executives are critical to the success of your business. With strong foundations in place, a solid talent recruitment and nurturing strategy, and an offer that’s tailored to each executive, you’ll put your company in the best position possible to find your future leaders. Ready to hire your next senior level executives? Download our free guide to the 10 best senior executive interview questions by clicking the image below. 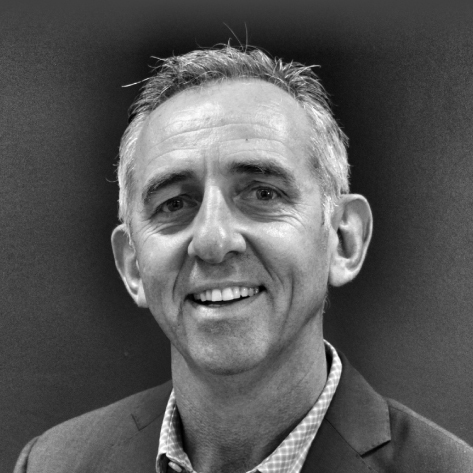 With more than 35 years in business, working in large global businesses and consulting, Glen has a wise head set firmly on experienced shoulders – a good thing to have as Generator Talent’s founder and CEO. He is in demand by clients who value his pragmatic advice and ability to positively influence people and improve business outcomes.